Specialty ice purveyors allow bars to enhance the drinking experience. The evolution of upscale cocktails has touched off a boom in higher-end spirits and mixers, investments in quality glassware, and new mixology techniques. But bartenders are also focused on another key ingredient: ice. 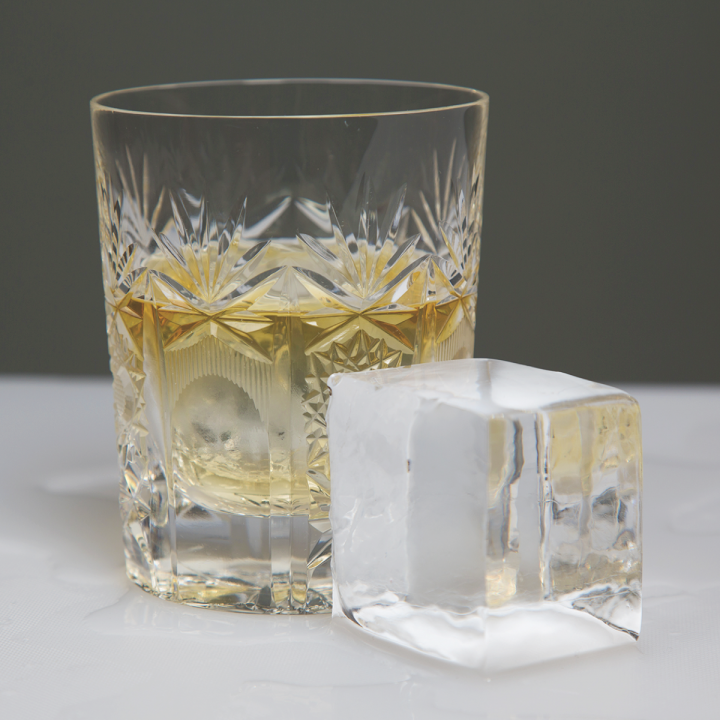 Eschewing mass-made products from industrial machines or molds, many on-premise operators are calling on specialty ice companies—who provide crystal clear, large-cut blocks, spheres and spears to enhance both visual appeal and taste. JustIce has been operating since 2013 and had only seven accounts when it launched. Today, it sells to more than 150 bars and restaurants in greater Chicago, including tiki bar Lost Lake, steakhouse Prime & Provisions, and fine dining and cocktail haven Cherry Circle Room. Lloyd says her clients use the ice in many types of drinks, but notes that Manhattans, Old Fashioneds and top-shelf spirits pours are the most popular and usually feature a large block or sphere. “Specialized ice allows you to control or change the dilution in a cocktail, which dramatically alters the final flavor. Rosanna Lloyd, president of JustIce Inc.
Lloyd cofounded JustIce with Mike Ryan, who’s also director of bars for Kimpton Hotels & Restaurants. Ryan says Kimpton emphasizes ice in all of its 80-plus venues and works with local ice merchants in many markets. When a local company isn’t available, Kimpton installs equipment to make higher quality ice on-site. “Denser, cubed ice means less surface area, which means slower dilution, so you get to keep the integrity and consistency of your cocktail for a longer period of time,” Ryan explains. Matt Buttel, co-owner of Nashville Ice Lab in Tennesee, launched his company as an ice producer, but has expanded into elements for all facets of cocktails, from fresh-squeezed juices and non-alcoholic bar syrups to hydroponic herbs and bar equipment rentals for events and festivals. He harvests 350-pound blocks of ice and breaks them down into different shapes, noting that his two-inch cube is the most popular piece and that sales of the long Collins spear are also picking up.